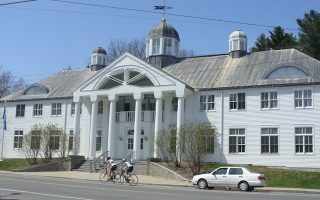 When it comes to running in the Litchfield Hills, options range from lengthy bike paths to conservation land to scenic rural streets and villages. 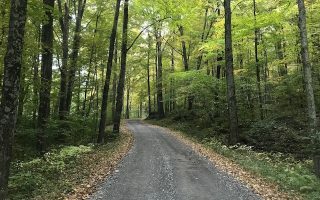 Favorites include the extensive Farmington Canal Heritage Trail/Farmington River Trail bike paths, pretty rural roads in Kent, Norfolk, Barkhamsted, Litchfield, and Salisbury, and easygoing trail/dirt road runs on the Appalachian Trail, White Memorial Conservation Center, Steep Rock Preserve, and Larkin State Park. Public transportation is virtually nonexistent in the Litchfield Hills, so runners will need a car to get around. 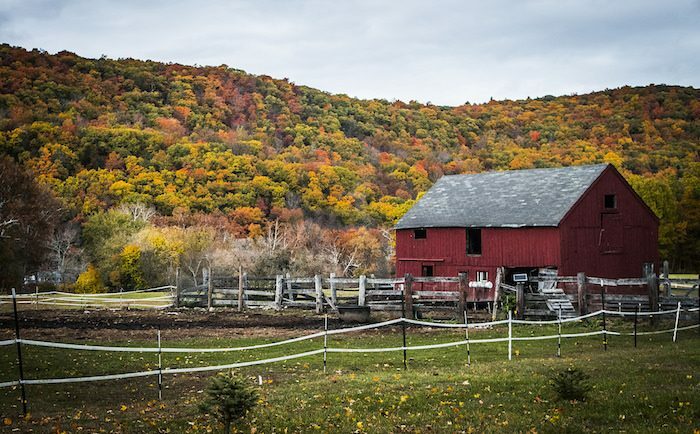 Most won’t mind driving — almost every major route through northwest Connecticut is a scenic drive, and the further you travel, the more great runs you can take! These long twin bike paths run from the Massachusetts border to Long Island Sound. 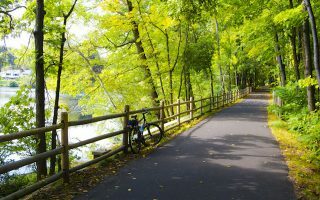 Access paved routes from Simsbury, Avon, Collinsville, Unionville, Plainville, and Southington. The River Trail branches off the Heritage Trail for 16 miles. 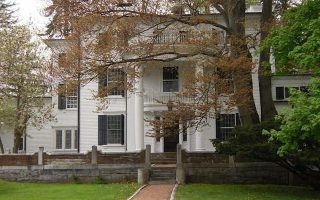 Run the Litchfield Hills charming namesake town through the town green, main strip, residential streets, and the locally famous, leg crushing, Gallows Lane hill. We've mapped 3.6 and 6.8 mile options. This enormous parcel of conservation land right in Litchfield is the go-to training zone for cross country running, with over 40 miles of paths. 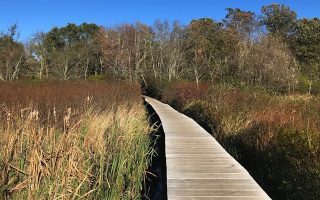 We’ve mapped a 5k “lollipop” utilizing the Mattatuck Trail and the Little Pond “Boardwalk” loop. 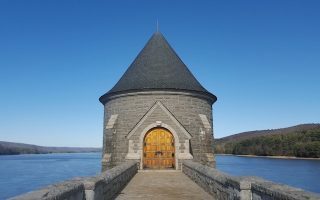 Run across the scenic dam and around the reservoir that provides water to Hartford on paved sidewalks and dirt access roads. 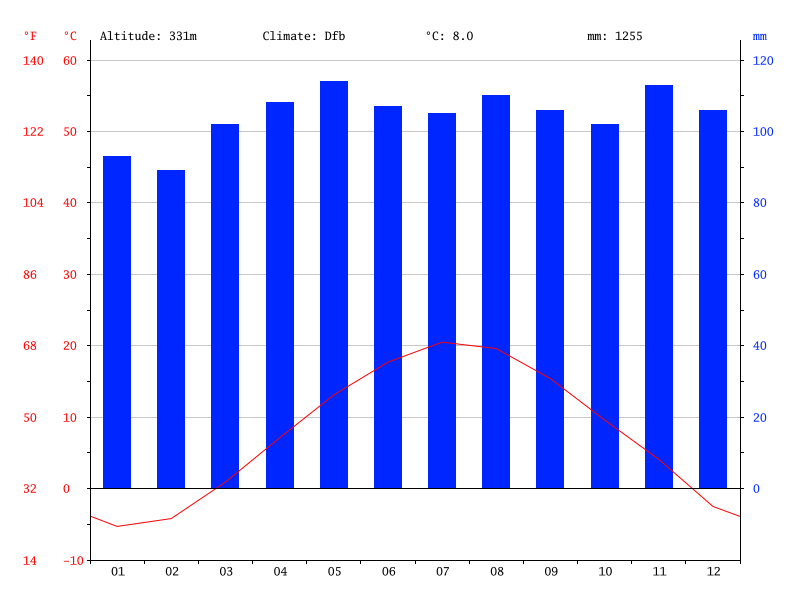 We've mapped a 3.8 mile out and back run, but there are other trails and roads good for running in the area. Salmon Kill Road in Salisbury is arguably one of the most scenic roads in Connecticut’s northwest corner. Farmland and creekside sections, with some trail as well. We've mapped out and back or loop options. A part of the Appalachian Trail that's good for running! 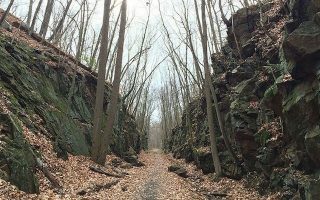 We love this ~4 mile stretch of the AT along the Housatonic River between Kent and Cornwall Bridge as a flat and inviting trail run. Optional gravel road alternative/extension. 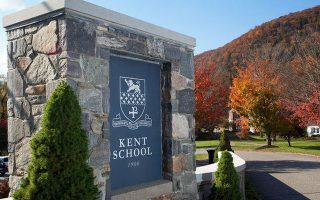 8 mile loop around the Kent hillside featuring a private school campus, winding stone walls, saltbox homes, and rolling farmland and mountain views. Hilly. Lining the banks of the Shepaug River, Washington’s Steep Rock Preserve is trail running heaven. There's something for everyone here. We recommend the Steep Rock Loop trail out to the scenic suspension bridge and railroad tunnel. 10 mile gravel track on a former railroad bed, running through scenic bogs, lakes, and forests just south of our other Litchfield Hills routes. Choose any section of this trail and enjoy! 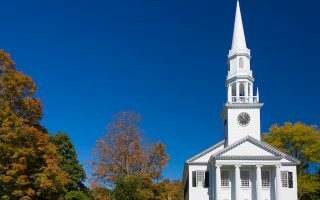 If you want to be close to lots of restaurants, shopping, and other things to do, staying Litchfield itself is a good choice. 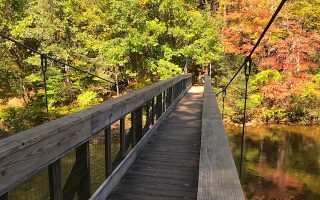 Kent is also a great jumping off point for activities in the region, with a small bustling downtown and close proximity to runs, hikes, and scenic attractions such as the Cornwall and Bulls Bridge covered bridges. For more rural options, like bucolic B&B’s, options are plentiful. You can drive across the Litchfield Hills from any point in under an hour. Woodbridge Running Company has locations in Woodbridge and Brookfield and is a great choice for running gear and advice just south of the Litchfield Hills. There are also a number of general outdoor sports shops, such as Sportsmen’s of Litchfield in Bantam, throughout the northwest hills. Trail runners should most definitely check out the Steep Rock Trail Running Series while in the area. In addition, the 10k Litchfield Hills Road Race a number of other great local 5k’s take place throughout the year.